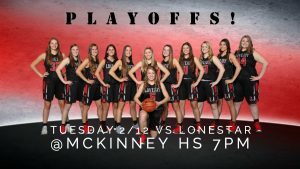 Come out and support the Lovejoy basketball program as they take on the TGCA #16 ranked Lonestar Rangers this Tuesday at McKinney High School. The first round is a Red Out game, so come out and be LOUD in support of the Leopards! Game time is 7 PM.